As you may know, the theme for this drive is "Stories That Matter." 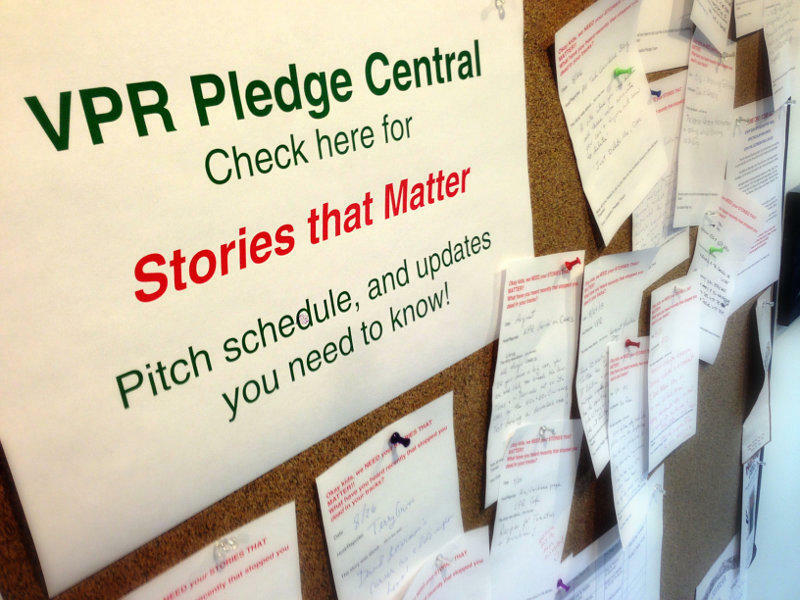 So over the past two weeks we've encouraged VPR staff to post some of the more memorable stories they've heard recently on a bulletin board in our Colchester studios (near the coffee of course!). We've also been featuring individual stories on our blog. The March on Washington anniversary coverage included a re-broadcast of Noah Adam's story on the song, "We Shall Overcome." Hearing his familiar voice - one that I associate with my discovery of public radio - and then the a cappella version of the song moved me to tears. Stephen King mentioned (on Fresh Air) that The Shining was supposed to take place in an amusement park! I heard about a great new recipe for tomatoes and zucchini on the VPR Cafe. Whooping cranes are making a comeback! "Operation Migration" helps teach cranes how to fly from Wisconsin to Florida. Plus, there's a beautiful pic in the online version of the story. When you boil it down, it really is all about the stories that you hear on VPR. It's what sets us apart. It's what makes us unique. These stories can teach, entertain, inspire, or simply inform. When you add up the impact that these stories have on your daily life, we hope that it equals your making a gift during this membership drive. Now it's your turn. Share your stories below in the comments section. We'll also be looking for Tweets and Facebook posts that use the hashtag #storiesthatmatter and share them on the air with our listeners.